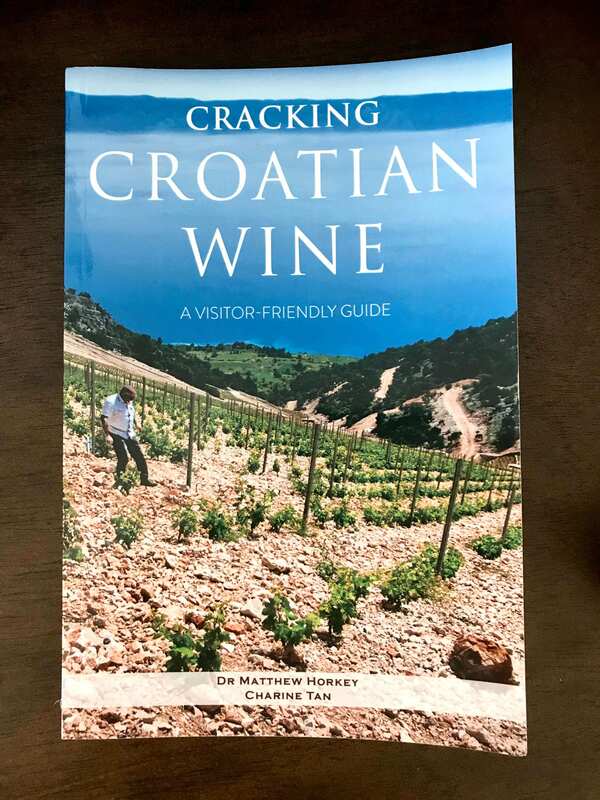 As it states on the front cover, Cracking Croatian Wine is a visitor-friendly guide. If you’re reading this and plan on visiting Croatia, take this book with you. There’s no way I’d visit Croatia and not have it handy! Even if you’re not a certifiable wine geek, it’s an interesting, informative read. It begins with a brief history lesson on Croatian wine, gives examples of local cuisine, history, travel tips, and how to properly pronounce important words such as: Plavac Mali (“Plah-vahts Mah-lee”) a popular and well-known red wine grape. I purchased a bottle of Plavac Mali at Hidden Track Bottle Shop in downtown Phoenix. If you’re ever looking for something unique or specific, try a local wine shop. I understand the convenience of grocery stores, Total Wine, & BevMo, but it’s so worth it to seek out a smaller shop. They always have hidden gems and knowledge of the wines they carry. Plus, they’re always happy to answer questions or help you navigate the wine isles—which can be intimidating! 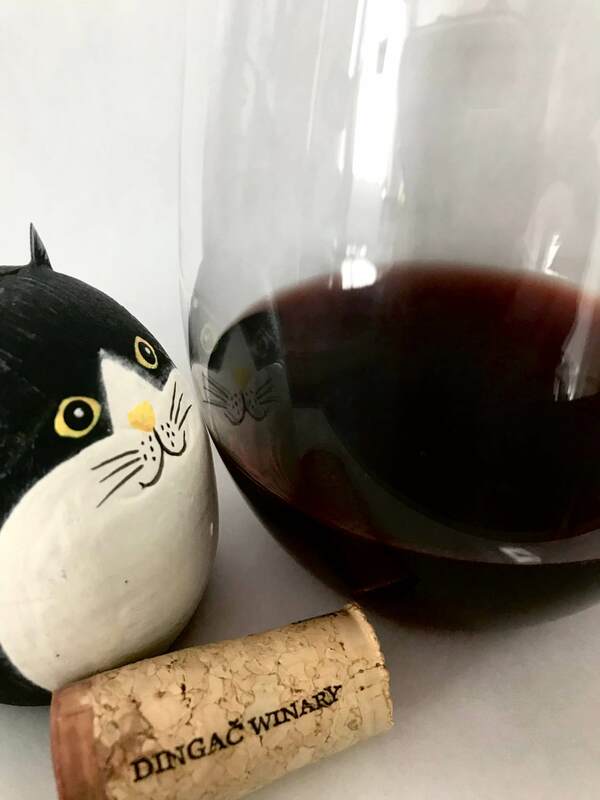 If you like California Zinfandel or Italian Primitivo, you might like this Plavac Mali (it’s from an offspring of the original Zinfandel grape!). The back of this bottle states it’s a “lighter bodied, distinct, and fruity wine made from Plavac Mali, the most important indigenous grape of Croatia.” While I’ll spare detailed tasting notes, for me, this wine felt medium bodied and wasn’t too fruity. I liked the earthy, herbal aromas and would compare it to a $10-12 red blend found just about anywhere. It wasn’t amazing or memorable, but certainly drinkable. The tannins weren’t harsh and it had a pleasant tartness to it, however, I wouldn’t purchase another bottle. I’ve got to find a better example of Plavac Mali! Most of us are guilty of trying a few types of wine, finding one we like, and sticking to what we know. We keep going to it like a favorite, worn, comfy t-shirt—drinking it over and over. Wine tastings are a great way to try new wines you normally wouldn’t like. Orrrr… at least you don’t “think” you like until you try something new. I used to make uninformed statements like “I don’t like Chardonnay.” Trying new wines not only opens up our mind, it enhances the olfactory senses and is an opportunity to learn something new! This is especially true with lesser-known grapes and regions. Why not try a local winery for a tasting? Or go on a wine hunt for a Croatian bottle from this book! Matt and Charine from Exotic Wine Travel are the go-to resource for all things lesser-known wine regions/grapes! Cracking Croatian Wine is one of those books you can always keep going back to. It’s more of a practical guide and reference tool than wordy novella. 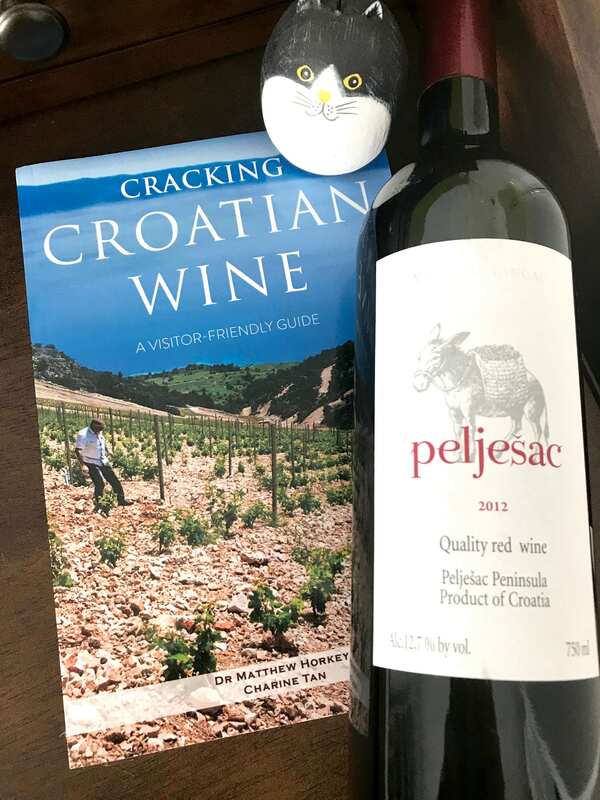 The bottle of Plavac Mali I purchased has a simple label (the book has a guide on deciphering Croatian wine labels) and Pelješac, the region, is listed instead of the name of the grape. I can only assume it’s because it was meant to be delivered to the masses and “Quality Red Wine” makes it easy to know what you’re buying. Speaking of the wine, there’s a section of the book dedicated to the Pelješac Peninsula, which is described as looking like “a broken splinter off a log”. The donkey on the label also has a distinctive meaning. Many of the vineyards, including the Dingač region where this bottle is from, are on steep, rocky ledges. Farmers used to use donkeys to transport harvested grapes, until 1973, when winemakers paid for a tunnel to be built through the mountains. I’m sure the donkeys appreciated this improvement as well. As the book says, there are many examples of Plavac Mali. After watching one of Exotic Wine Travel’s videos, I’m interested in seeking out the 2007 (if there’s any left?? ;) Miloš Stagnum. They state “It’s an exemplary wine for showing the elegance and ageability of Plavac Mali.” Or, maybe I just need to travel to Croatia, with my wine guide in hand… Cheers. Thank you, I’ll add this link to my post. Such beautiful old vines, steep vineyards, & that ocean view! Cheers! I love Croatian wine and this post and your blog are awesome!